No trip to China is complete without visiting Shanghai, a metropolis over 24 million strong and the largest city in the world’s most populous country. Of course, with the city’s immense size comes the ever-grand difficulty of choosing where to stay in Shanghai. Whether flying into Shanghai or seeing it from above atop one of the earth’s tallest buildings, the challenge of the task ahead will become obvious: How does one even begin to sort through all the accommodations options in a city this massive? Fortunately, I’ve got you covered! In this quick & easy guide, I cover all the best areas to stay in Shanghai for travellers with suggestions on some of the top hotels in each neighbourhood or district, ranging from budget-friendly guesthouses to opulent luxury 5-star properties. Needless to say: Pinning down where to stay in Shanghai for travellers isn’t going to be all unicorns and puppies. Travellers, however, have it a little easier than expat or other longer-term visitors. Many of the top Shanghai points of interest are in the city centre within a 5- to 10-kilometre radius of the Huangpu River. Along the western riverbank, you’ll discover a veritable open-air museum of colonial architecture covering styles as diverse as Gothic, Neoclassical & Baroque. 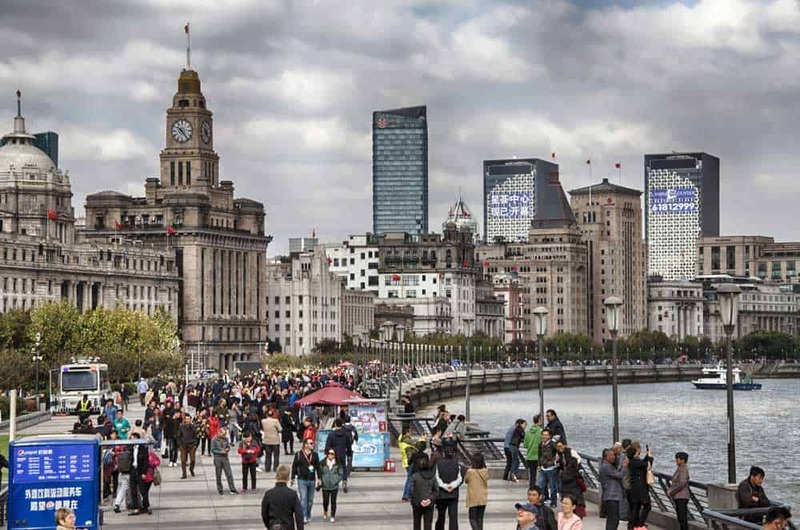 The Bund is also well-connected to rest of central Shanghai from the charming Old City to the shopper’s paradise of Nanjing Road to the skyscrapers of Pudong. Thanks to its central location and 24/7 popularity with tourists, hotels in & around The Bund area, unsurprisingly, come at a premium. Most of the selection here sits in the mid-range to luxury categories including some of the top 5-star hotels in Shanghai. Shanghai Fish Inn East Nanjing Road: The best budget pick in the district, this boutique hotel offers clean newly-renovated room on a quiet side street just minutes from the action of The Bund and Nanjing Road. Metropolo Classiq Shanghai Off Bund: An elegant mid-range hotel featuring spacious rooms with extras like soaker tubs built for your relaxation. The higher-end offerings include private balconies with spectacular views towards the Pudong skyline. Hotel Indigo Shanghai On The Bund: A stunning 4.5-star boutique hotel with ultra-stylish rooms affixed with unique artwork and modern furnishings and decor with a Chinese twist. The hotel’s chic rooftop bar is one of the top places in the city to enjoy a cocktail to dramatic skyline views. Fairmont Peace Hotel On the Bund: A Shanghai accommodations classic, this illustrious 5-star, with a history dating back over 80 years, has played host to most celebrities than any other hotel in the city. Besides the elegant rooms, guests will be charmed by the hotel’s world-class amenities from its famous Jazz Bar to the soothing treatments at the Willow Stream Spa. If slipping in and out of boutiques usually constitutes a big part of your travel plans, the area around Nanjing Road & People’s Square might just be your perfect place to stay in Shanghai. Forming the centrepiece of Shanghai’s downtown, these two famous landmarks sit amidst some of the city’s best shopping and top eating options. Nanjing Road Pedestrian Street, stretching between People’s Square and Henan Middle Road, is lined with innumerable fashion boutiques, department stores, malls, restaurants & souvenir shops for your viewing pleasure. Also nearby is Huanghe Road, one of the best places to eat in Shanghai. It features a small handful of diverse restaurants serving everything from xiaolongbao dumplings to seafood to Chongqing noodles. It shouldn’t be surprisingly that with such a central location, hotels here don’t necessarily come cheap. Most of the selection around here is in the mid-range with true budget and top luxury picks a little more difficult to find. Here are a few recommended hotels near Nanjing Road & People’s Square. The Phoenix Hostel Shanghai LaoShan: One of the few recommended budget choices around here, this property features both dorms and private rooms with private bathrooms to its guests. The location, just a five-minute walk from People’s Square Station, is extra convenient. The Yangtze Boutique Shanghai: A lovely hotel featuring a supremely elegant style that blends Art Deco sophistication with Chinese sensibilities. Guests will love the three on-site restaurants—serving everything from Cantonese to modern Italian—as well as enjoying at nightcap at the classy on-site cocktail lounge, The Bar. Radisson Blu Hotel Shanghai New World: Although its rooms are a little less flashy than other hotels in the area, this delightful mid-range hotel is still a charmer with a host of superb amenities including 5 on-site restaurants, a palatial indoor pool, mini-golf facilities, and a day spa. The location one-minute away from People’s Square Station doesn’t hurt either. Shanghai Marriott Hotel City Centre: Offering spacious rooms with dramatic skyline views, this top-notch luxury hotel checks all the boxes for a perfect stay in central Shanghai. Both Nanjing East Road and People’s Square are just five minutes away. JW Marriott Shanghai at Tomorrow Square: One of the top luxury picks in the district, this lofty 5-star hotel delights with soaring city views and a glut of amenities that’ll have you singing its praises. Don’t miss out on its stunning outdoor pool and its insane vistas over central Shanghai. While it’s admittedly a little kitschy at times, Old City offers a fleeting glimpse at Shanghai’s historical character outside of its colonial quarters. Hidden within its disorganized warren of narrow alleyways and along old merchant roads lined with traditional Chinese architecture, the spirit of old Shanghai lives on—even if it’s just a tiny taste. 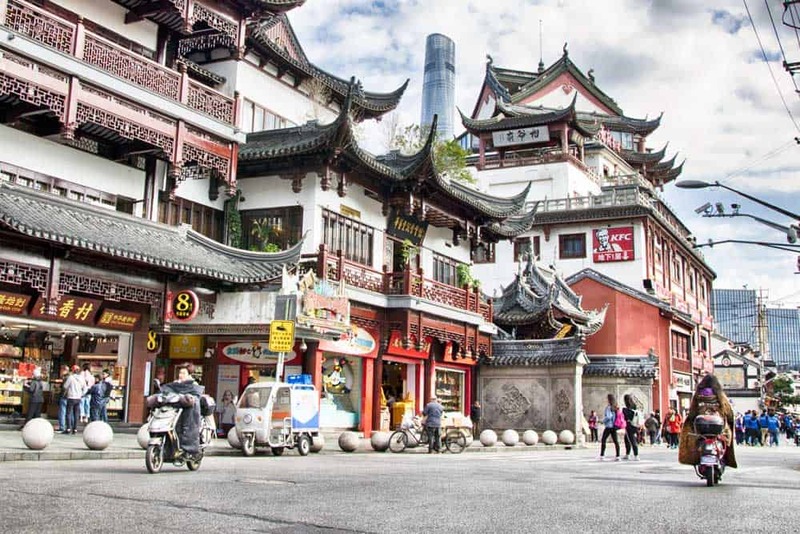 Wandering about Old City you’ll stumble upon temples, remnants of city walls, ancient teahouses, classical Chinese gardens, and a whole host of restaurants serving up all that delicious grub that Shanghai’s famous for. Even with its obvious inauthenticity, it’s a picturesque neighbourhood to walk around if for nothing more than to exercise your Instagram thumb for the folks back home. Like much of central Shanghai, high real estate values favour hotels in the mid-range and above. There’s surprisingly little choice for either budget or luxury around here. A quick note: You’ll notice that many of the hotels around Old City throw “Bund” into their name. While The Bund isn’t far away (just a 10-minute walk from Yuyuan Garden in the centre of Old City), it’s not exactly accurate. All the properties chosen here, despite their names, are closer to Old City than The Bund. Campanile Shanghai Bund Hotel: A simple modern hotel just a few blocks from the ancient city wall that’s by far the best budget choice in the area. Rooms are spotless and feature upgraded facilities & contemporary furnishings. Both Yuyuan Garden and The Bund are fifteen minutes away by foot. SSAW Boutique Hotel Shanghai Bund: A lovely mid-range boutique hotel perched on the edge of the Old City just steps from one of the few remaining sections of ancient city wall. The rooms here are elegant and larger than the Shanghai norm, impressing with superb skyline views. Renaissance Shanghai Yu Garden Hotel: The best luxury choice in Old City, this fantastic 4.5-star hotel draws travellers in with expansive guestrooms that defy Shanghai’s usually tight standards. Relax to the lights of Shanghai’s Old City or Pudong in the hotel’s restaurant, bar, indoor pool or ever your own private soaker tub in your room to get the full Renaissance experience. By far the most surprising neighbourhood in Shanghai, the Old French Concession is not just one of the city’s best districts to explore, but one of the top areas to stay. You should spend your entire time in Shanghai digging into this eclectic district without ever stumbling across the same thing twice. Pinning down exactly where to stay in the French Concession can get a bit tough as it’s, geographically, one of the biggest localities in Shanghai. In fact, it’s hard to even get a straight answer as to where it officially begins and where it ends! In the end, it doesn’t matter much. Nearly anywhere you choose to lay your head in the Old French Concession, you’ll be in one of Shanghai’s premier neighbourhoods for tourists & locals alike. It teems with leaf-shaded boulevards, old colonial mansions, lush parks, and a sizeable smattering of trendy wine bars, Euro-inspired cafés & restaurants. Covering a vast swath of central Shanghai, the Old French Concession offers a whole variety of different places to stay. Like neighbouring quarters, much of the focus here is on the mid-range market with top-end luxury hotels tending further east towards The Bund and Lujiazui or further north in Jing’an. Hotel Equatorial Shanghai: With a shortage of good budget hotels, this low-mid-range hotel offers one of the best balances between budget-friendliness and quality in the Old French Concession. Rooms are fairly standard stock, but extras like an indoor pool & well-equipped gym tip the scales in this property’s favour. Shanghai Donghu Hotel: A classy mid-range luxury hotel in the historic heart of the Old French Concession. The rooms exude a traditional oriental elegance and are more spacious than average for tightly-fitted Shanghai. InterContinental Shanghai Ruijin: A luxurious property hidden away on a leafy avenue that feels more like an exclusive French villa than a hotel in the middle of one of the world’s largest cities. 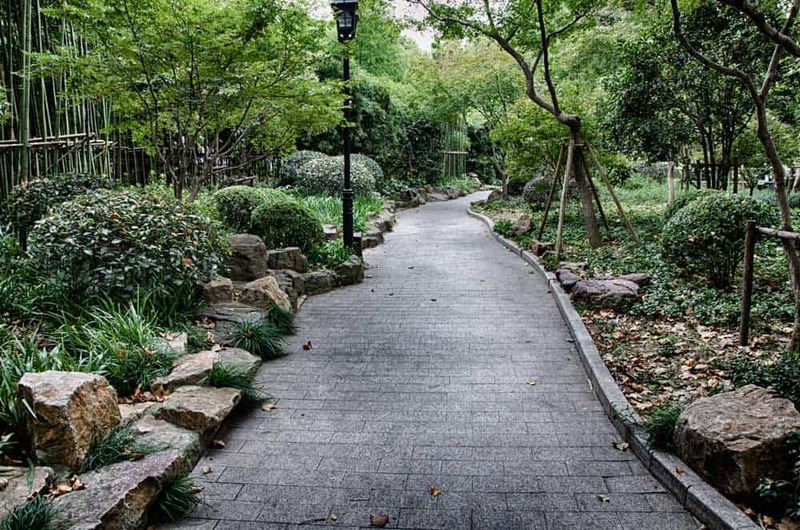 From the elegant old world decor to the lush park-like grounds, there’s no experience quite like this in Shanghai. The Puli Hotel And Spa: An elegant 5-star nestled into the northern fringes of the Old French Concession near Jing’an. Rooms are outfitted with sleek modern furnishings and peer out onto the Shanghai cityscape with gusto through floor-to-ceiling windows. Slip into the steam room, hot spring tub or infinity pool for the ultimate in relaxation during your stay. 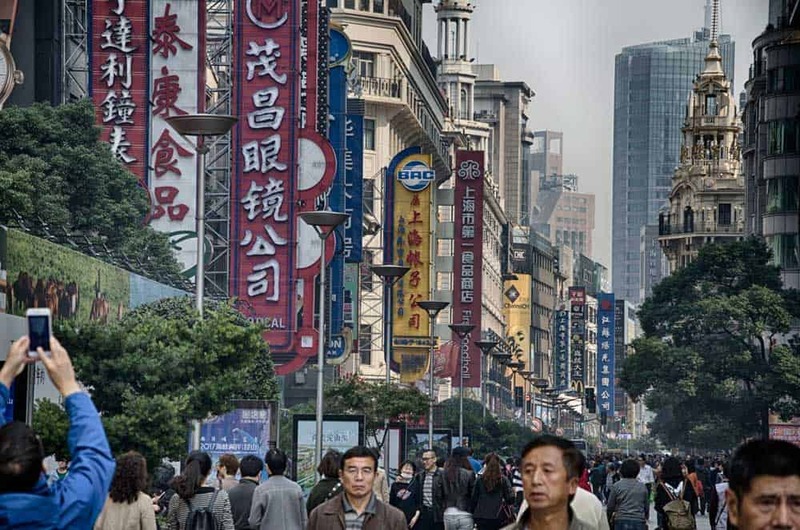 Located just west of the Nanjing East Road & People’s Square, Jing’an is among the most popular neighbourhoods for expats thanks to its excellent transportation connections, wide array of housing options as well as deluge of shopping malls, cafés and restaurants. For travellers, Jing’an is one of the top neighbourhoods to stay in Shanghai if you’re willing to sacrifice proximity to the main attractions for a greater availability of options. 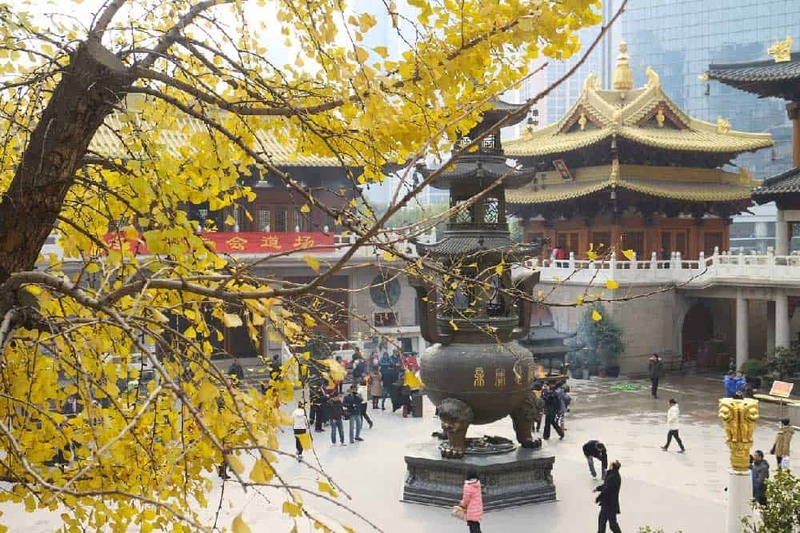 There’s even handful of things to see here including the district’s namesake Jing’an Temple, a massive Buddhist temple rumoured to be about 1,750 years old. As one of the city’s most popular neighbourhoods to stay, there’s plenty of choice for travellers in Jing’an. Most accommodations here fall into the mid-range. There’s also a fairly large concentration of 5-star hotels in Jing’an, making it, along with Lujiazui and The Bund, one of the top districts for luxury travellers, although at more affordable prices than either. Campanile Shanghai Natural History Museum Hotel: The top budget hotel in Jing’an. Like its counterpart near Old City, this property surprises with clean modern rooms that don’t suffer the same cramped quarters or low quality of most offerings in the price range. URBN Boutique Shanghai: A hip & trendy mid-range boutique hotel boasting a unique design aesthetic that fuses modern urban elements with Asian motifs. The entire property is designed to be eco-friendly from the mysterious bamboo garden to the locally-sourced seafood at the on-site bistro. InterContinental Shanghai Jing’an: A excellent value luxury hotel with all the amenities you’d come to expect from IHG. Enjoy a range of Asian cuisines from Cantonese & Shanghainese to Sichuan & Japanese in one of the hotel’s seven on-site restaurants. Skyline views from the expansive guestrooms are simply breathtaking. Four Seasons Hotel Shanghai: A stunner among Shanghai hotels, this 5-star gem lives up to its parent’s brand with a gentle mix of pure sophistication and modernity. Everything from the charming rooms to the soothing on-site spa spells out a dream-like stay in Shanghai. Yuan burning a whole in your pocket? There’s no better area to launch an accommodation spending-spree than in Lujiazui. Located across from The Bund on the opposite side the Huangpu River in Pudong, Lujiazui is Shanghai’s financial centre with a vertiginous skyline that proves this is where the money flows. While there are certainly more exciting districts in Shanghai, those who’d rather spend their nights sipping classy cocktails & indulging in fine dining in the clouds than hustling through crowded food stalls would do well to spend their nights here in Lujiazui. 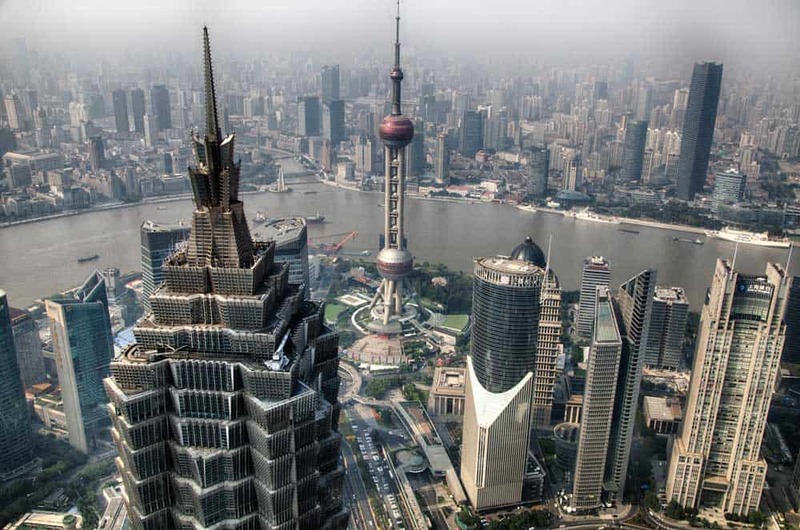 With much of Shanghai’s wheelin’ and dealin’ taking place in the lofty skyscrapers of Lujiazui, the district focuses extensively on the high-end of the market. Not surprisingly, Lujiazui is home to many of the best luxury hotels in Shanghai at prices that fit their unmatched swankiness. Grand Kempinski Hotel Shanghai: One of the most affordable 5-stars in Lujiazui, this grand luxury hotel charms guests with its art-deco-inspired rooms that sport floor-to-ceiling windows peering onto the city & the river. Seven dining options as well as a fully-equipped health club—with everything from an indoor pool to a spa—await. Grand Hyatt Shanghai: Located in the upper echelons of Jin Mao Tower, this lofty luxury hotel unleashes mega-sized rooms with interiors inspired by art-deco. If the skyline views through the large panoramic windows in your room aren’t quite enough, retire to the Sky Pool or the popular rooftop Cloud 9 Patio & Piano Bar for some of Shanghai’s most incredible vistas. Pudong Shangri-La, East Shanghai: A classy & elegant property leaning more towards the traditional than the modern with its cultured decor & furnishings. The deluxe rooms are a superb value for Lujiazui, but the hotel’s Horizon rooms will truly take your breath away. The Ritz-Carlton Shanghai, Pudong: Perhaps the best luxury hotel in Shanghai, this exquisite 5-star boasts one of the premier locations in the city with the iconic Oriental Pearl TV Tower staring it down at every angle. There’s a whole slew of superb amenities here from a indoor infinity pool to a spa, but none is more unique than Flair, the hotel’s rooftop restaurant & bar that soars as the China’s highest. Looking for a great value in a central location? The Campanile Shanghai Bund Hotel is a fantastic option that’s a short walk from both The Bund and Old City. Got a little more to spend on a mid-range hotel? Check out Hotel Indigo Shanghai On The Bund, a delightfully modern hotel featuring a stunning skyline views, especially from its chic rooftop bar. Craving the ultimate in Shanghai luxury? Scope out the views at the The Ritz-Carlton Shanghai, Pudong, a luxurious 5-star boasting a full set of swoon-worthy amenities including China’s highest rooftop restaurant & bar.